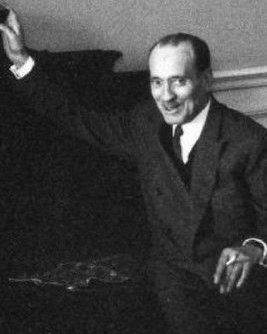 Stephane Boudin was born on October 28, 1888, and was a French interior designer. Boudin was famously known for his design work when he joined Maison Jansen’s firm, first as the son of Jansen’s tassels and trim supplier. Boudin would soon become one of the era’s most celebrated decorators, enhancing Jansen’s reputation for historically researched chic interiors still further. By the 1930s, most of Boudin’s work was in England where he was “the greatest decorator in the world” according to Sir Henry ‘Chips’ Channon, an American socialite who became part of the English political establishment. For him, Boudin designed an extraordinary rococo fantasy room inspired by the pale blue and silver Amalienburg Pavilion of the Nymphenburg palace, located near munich. A tented pavilion he designed for interior designer Elsie de Wolfe’s party earned him the sobriquet of “decorator’s decorator”. During the early 1960s, Boudin was involved in the redecoration of a number of rooms at the White House. Working closely with Jacqueline Kennedy, Boudin put Maison Jansen in the public eye, using arrangements emphasizing crucial roles that French taste had played in the White House interiors since Jefferson’s day. Stephane Boudin passed on October 18th, 1967 and Jansen closed its doors.